SOLOTIME static cling products are autocross tested and work well for low speed events. These products cling to most smooth surfaces, such as fiberglass, plastic, steel, or aluminum. They even cling to glass! Each reusable static cling number or letter comes with a special paper backing that keeps them ready for the next autocross event. Special Note: Please test these numbers on your vehicle before you use them at a racing event. Unlike strong magnets or adhesives, static cling products may blow off your vehicle during unusual racing or weather conditions. We recommend that you order extra numbers as a precaution. When ordering numbers, follow the steps below. If you need multiple numbers (e.g. 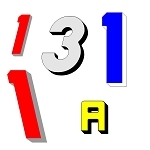 123 AS) you'll need to repeat this process for each digit. Select a Font and Effect. Samples will appear as you make a selection. See our Font Guide for the options. There are 8 basic fonts: Block, Curved, Clear Face, Script, Neon, Racer, EuroRacer, and KnockOut. 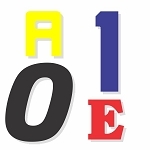 The Block and Curved Fonts have Slant and Left Slant variations. Effects are not available on Static Cling characters. Select a Base Color. See our "How to Select Colors Tab". For Static Cling Characters the "Base Color" will be your color. Enter the Quantity. 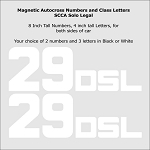 If you need numbers/letters for both sides of the car, you'll need 2. Please ensure that you review your shopping cart carefully before checking out to make sure you ordered what you intended. If you have any questions or problems with ordering, feel free to contact us. On Single Color Characters the "Base Color" will be your Color. On Outline Characters the "Base Color" is is the color of the outline. On 3D Characters the "Base Color" is the "Shadow Color". On Two Tone Characters the "Base Color" is the predominant color at the base of the Character. On the examples shown above "Black" is the "Base Color" on the Outline, 3D and Two Tone examples. On Single Color Characters select "None", the "Base Color" will be your Color. On Outline Characters the "Top Color" is is the color in the center of the Character. 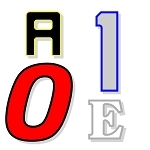 RED is the top color on the example of an Outline effect shown above. On 3D Characters the "Top Color" is the predominant color of the Character. BLUE is the top color on the example of a 3D effect shown above. On Two Tone Characters the "Top Color" is the predominant color at the top of the Character. YELLOW is top color on the example of Two Tone effect shown above.